From January 15 to 17. 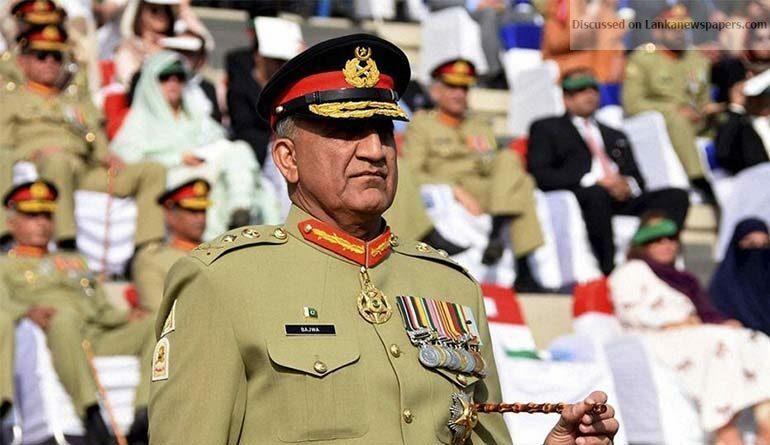 Pakistani Army Commander Qamar Javed Bajwa will visit Sri Lanka from January 15 to 17 at the invitation of his Sri Lankan counterpart Mahesh Senanayake, a statement from the Pakistani High Commission in Sri Lanka said here on Sunday. During the visit, Bajwa will hold talks on matters of professional interests with Senanayake, the statement said. Bajwa will also call on Sri Lankan President Maithripala Sirisena and Prime Minister Ranil Wickremasinghe to discuss issues of regional security and matters of mutual interest, the statement added.